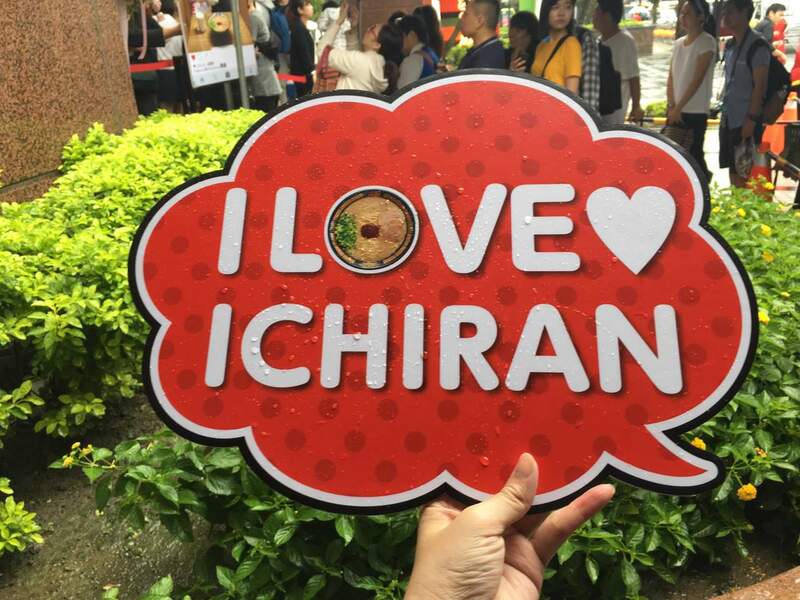 Besides TONKOTSU ITTOU Ramen and EBISOBA ICHIGEN RAMEN, ICHIRAN RAMEN has its grand opening at Taipei City XinYi District near Taipei 101. 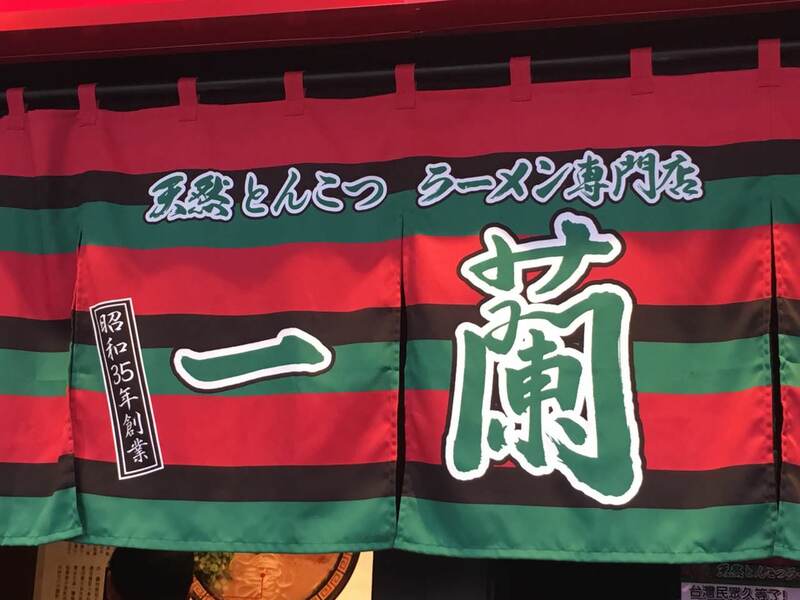 跟日本一蘭拉麵本店不同的地方是24小時營業(只有少數日本一蘭拉麵是24小時) 和點菜系統, 台灣並沒有投幣式機器, 而是用填表單的方式. 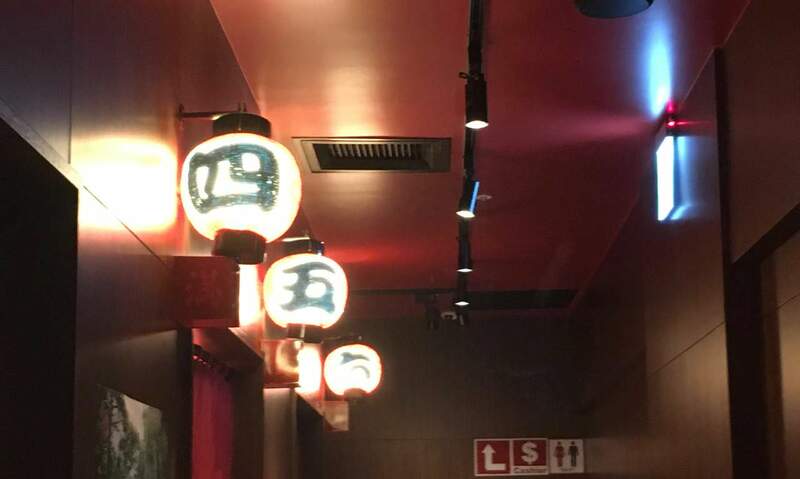 其他例如“味集中座位”, “湯麵風味“, “空位指示板“, “洗手間的多卷衛生紙”, 和“掛在牆上的衛生紙”幾乎都跟日本分店一樣. The difference between Japanese store and Taiwanese store are “24 Operation Hours” and “Ordering system”. 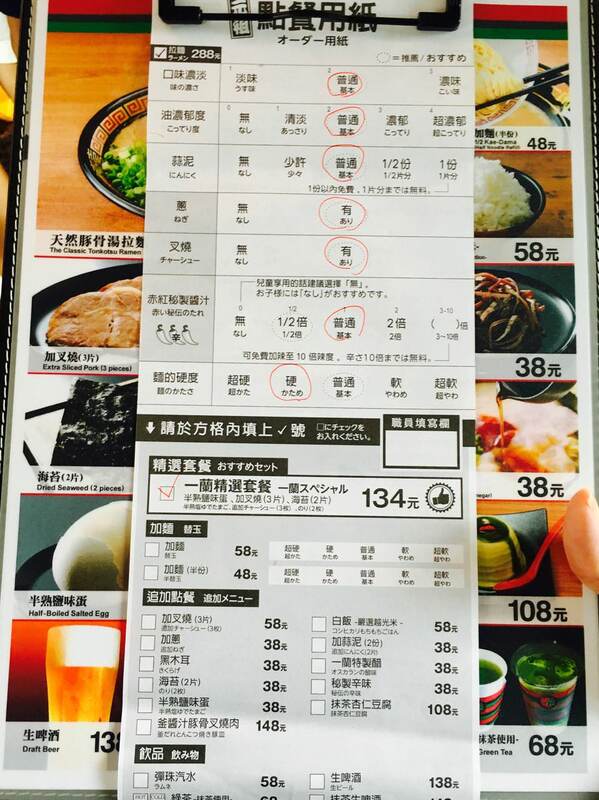 In Taiwan, they didn’t use the token machine to choose ramen preference. 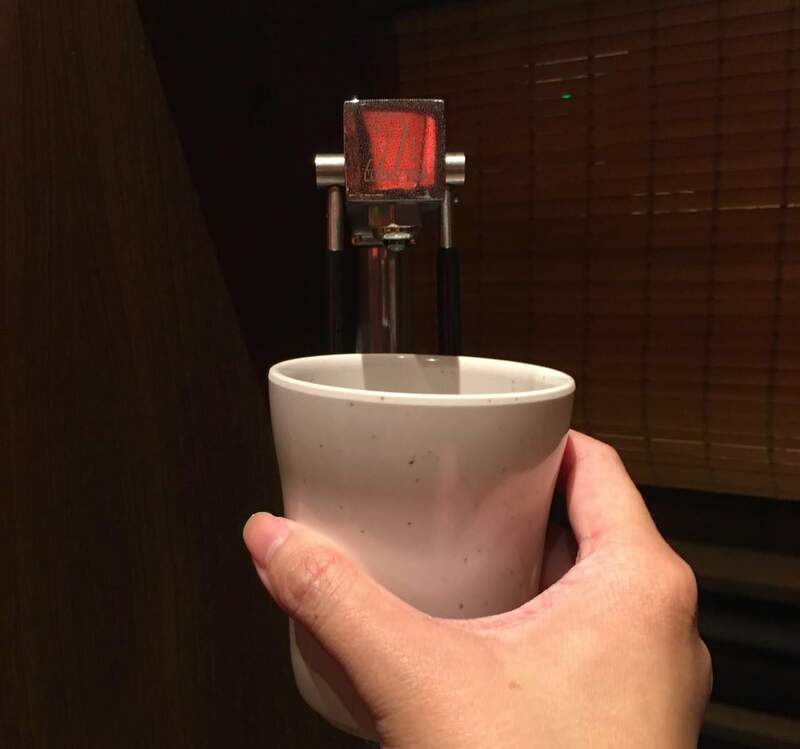 坐下時, 簾子是拉上去, 服務生迅速提供水杯可自行在座位邊加冰水,並不是熱水,菜單填選好後可按服務鈴繳交, 大約五分鐘後, 服務生客氣地從簾子外端拉麵給客人, 再將簾子拉下, 從頭到尾不會看到服務生面貌, 讓你享受滿滿的個人空間. When seating , the bamboo curtain is rolled up. The waiter/waitress offers empty cup for customers to fulfill the water by themselves on the table side. You can press the red color “service call” before handing out the final selected menu. 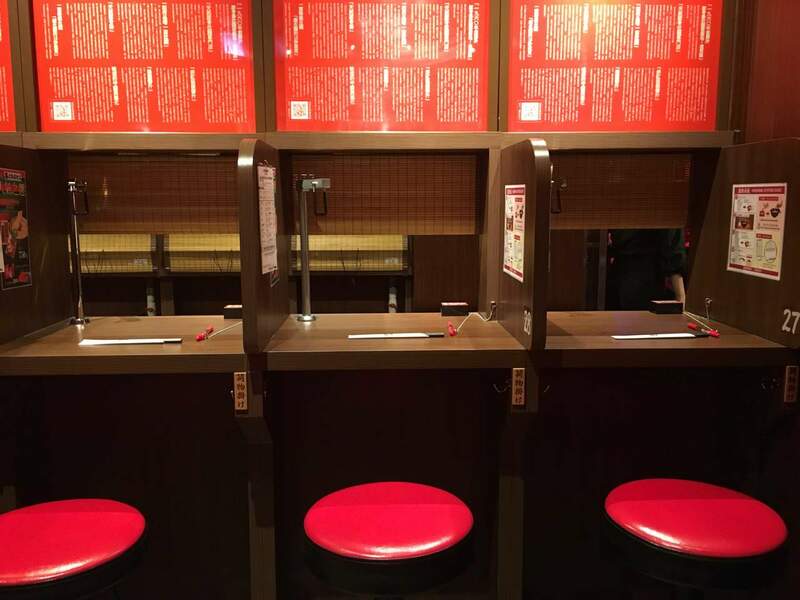 After serving the ramen, the waiter/waitress will roll down the curtain and let you enjoy the ramen in the small cubic. 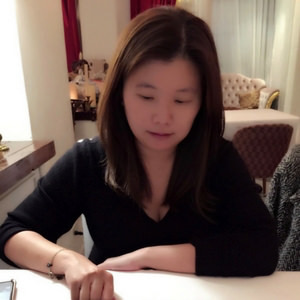 端上桌時, 類似通堂拉麵的黑色拉麵碗裡放著微黃色的豚骨湯頭, 先喝了一口湯, 並不會像”Okaeriお帰り你回來啦“豚骨拉麵濃稠, 而是稍微濃郁且鮮甜, 並沒有豬骨的腥味, 細麵上的赤紅秘製醬汁則是以唐辛子(辣椒) 為基底, 概念類似豚骨一燈的辛12香拉麵, 再基底加上30多種辛香料與配料, 攪拌後再嚐一次湯頭, 口中的鮮甜湯頭變較淡但增加香辣風味. 細麵條跟TSUTA蔦拉麵一樣是自家製做, 選擇偏硬的麵條因為個人喜好, 但若喜歡拍食物照, 建議直接選偏硬, 因為細麵若在湯頭過久易過軟. 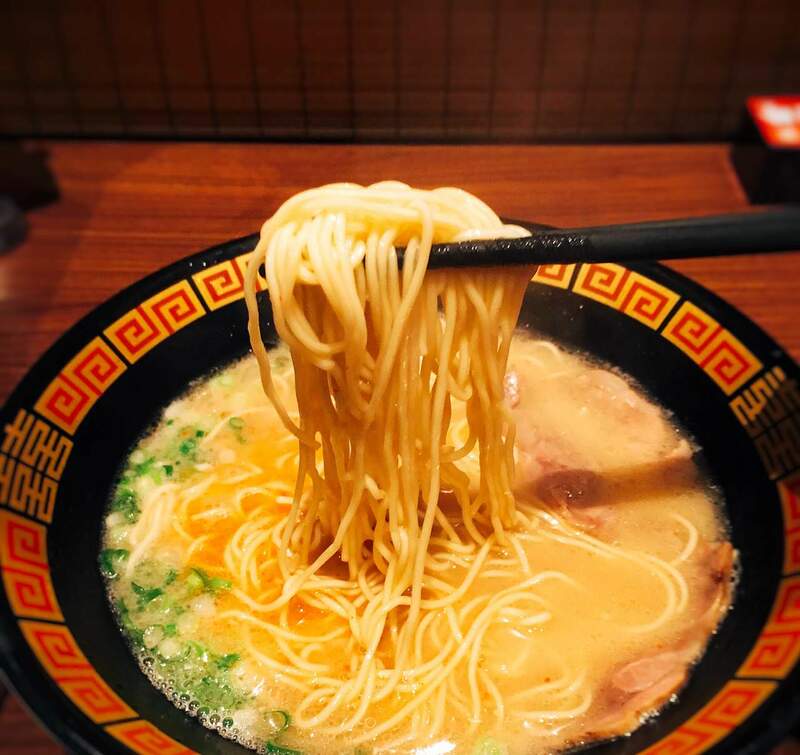 The soup broth is not as thick as Okaeri Ramen. 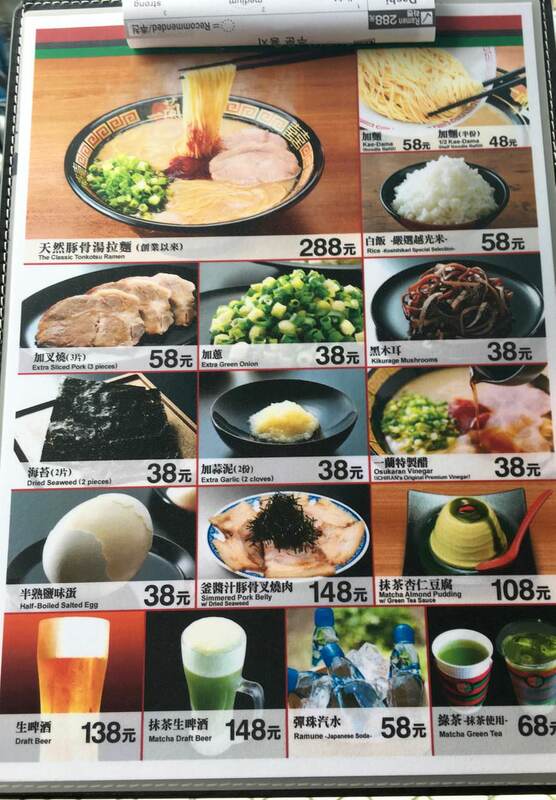 Instead, ICHIRAN soup broth has hints of sweetness mixed with light meaty aroma. The base of the red sauce is capsaicin (similar with jalapeno) instead of pepper. 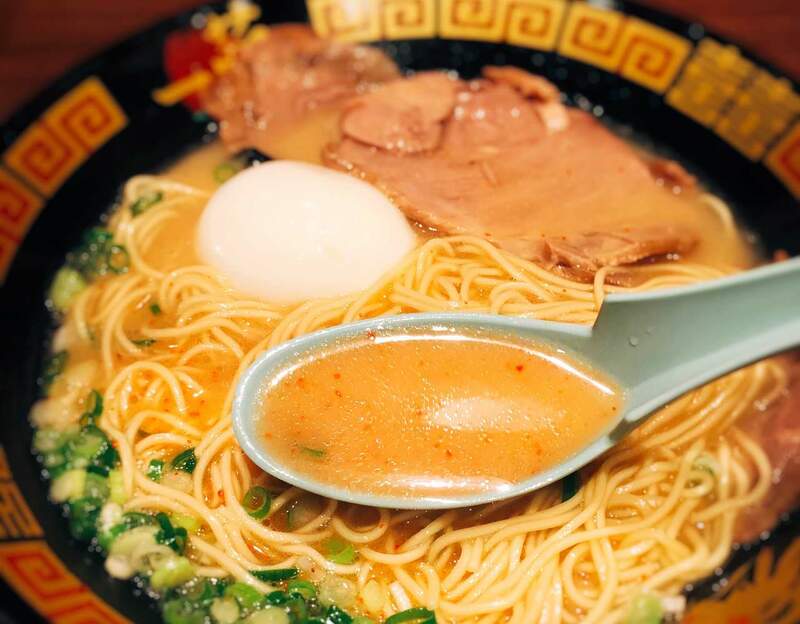 After mixing the sauce with broth and ramen, the soup base becomes light but has more spice flavor. 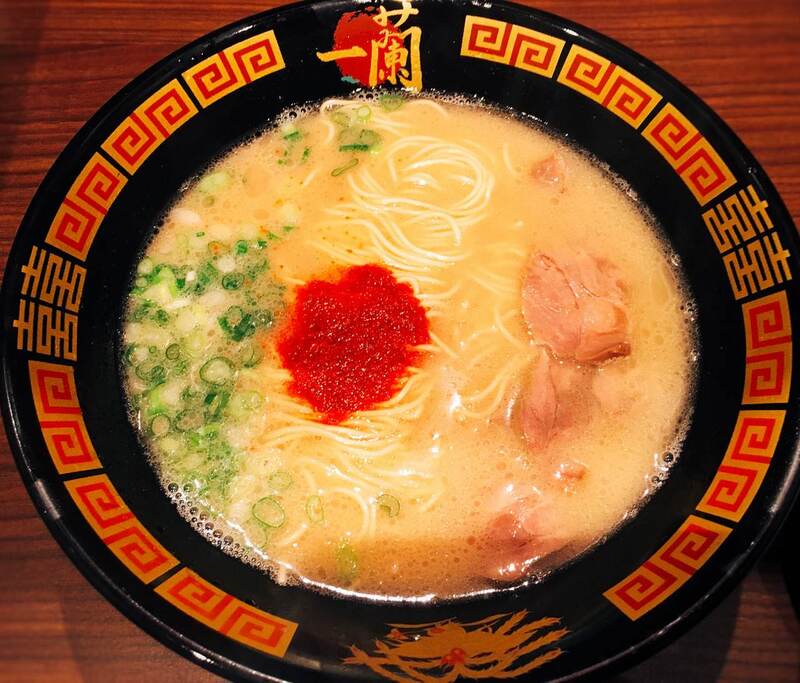 The thin ramen is similar with TSUTA Ramen, which the noodle is custom-made by themselves. 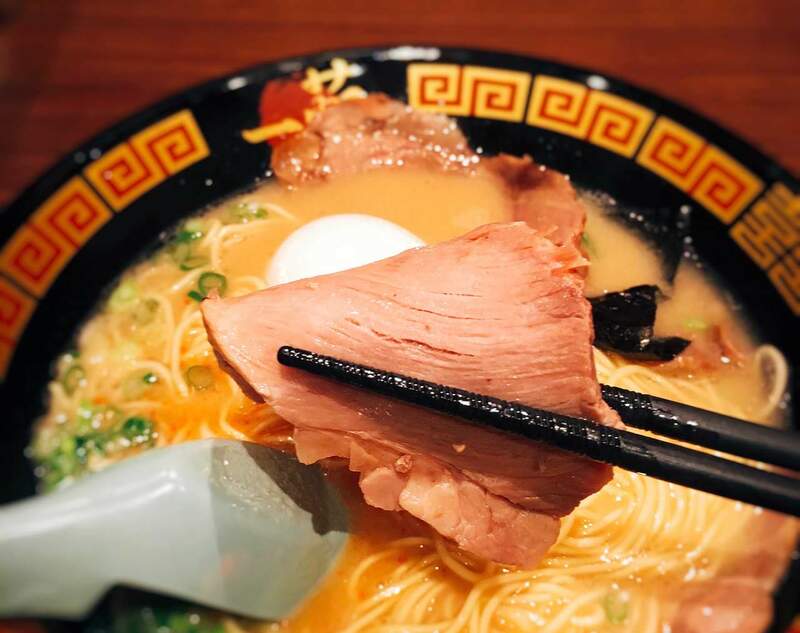 The Classic Tonkotsu Ramen does not have egg nor seaweed. Therefore, I ordered the side dish set and regret. 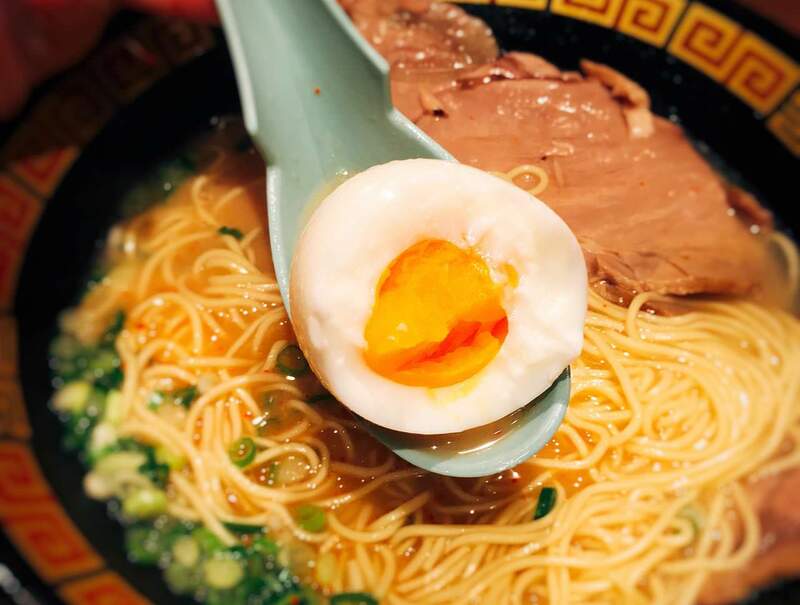 The egg is worth ordering since the half-egg yolk is great pairing with ramen and soup base. However, the thin sliced pork isn’t moisture as expected.